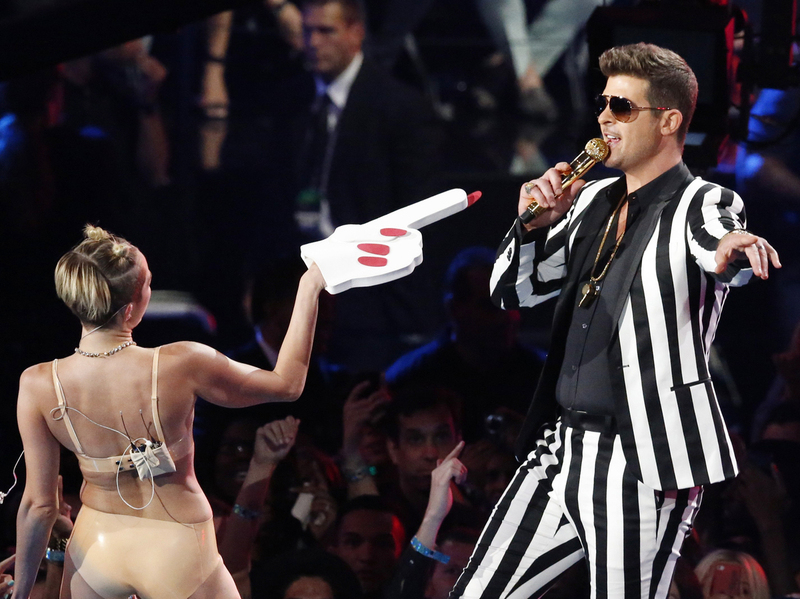 Singers Miley Cyrus and Robin Thicke during Sunday night's MTV Video Music Awards in New York. Her twerking raised many eyebrows. "Twerk" is one of several dozen words or phrases that Oxford Dictionaries Online has added to it website. Oxford's definition for the verb: "Dance to popular music in a sexually provocative manner involving thrusting hip movements and a low, squatting stance." The origin? "Probably an alteration of WORK." -- "Dappy ... silly, disorganized, or lacking concentration." As in: "Those Two-Way bloggers sure are dappy." -- "Derp ... used as a substitute for speech regarded as meaningless or stupid, or to comment on a foolish or stupid action." As in: "Another Two-Way post about Miley Cyrus? Derp." -- "Squee ... used to express great delight or excitement." As in: "The Two-Way hopes to take Labor Day off. Squee!" -- "Srsly ... short for SERIOUSLY." As in: "Srsly, Mr. Memmott?" "Behaviour, characteristics, or actions regarded as intimidatingly tough or impressive."